Want a new way to tell kids the parables of Jesus? The songs on this album unpack 13 of those parables in a way that's memorable and fun for kids. Even better they point to the greatest story of all the gospel of Jesus. They have been doing it for 30 years now primarily to serve the family of churches known as Sovereign Grace Churches. They have been able to reach a broader audience and have been able to join the many others who are encouraging biblically informed heartfelt Spirit-empowered singing in the church. They have released over 40 albums over their 30 years in music and have established themselves as a staple in Christian Music. Listen Up! 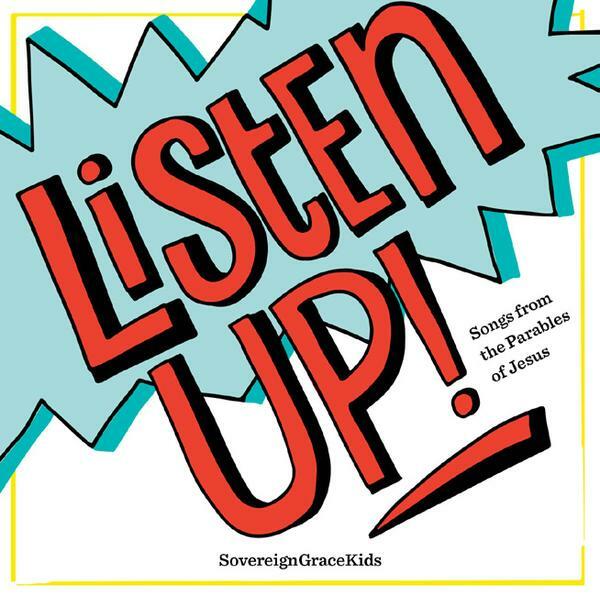 Songs From The Parables Of Jesus by Sovereign Grace Kids was published by Integrity Music in February 2018 and is our 22555th best seller. The ISBN for Listen Up! Songs From The Parables Of Jesus is 0000768700723. Be the first to review Listen Up! Songs From The Parables Of Jesus! Got a question? No problem! Just click here to ask us about Listen Up! Songs From The Parables Of Jesus.